Looking for private in-home or in-studio Trumpet lessons? Our Washington Navy Yard teachers are ready to get you started. Find your teacher today! My name is Travis, and I have been playing trumpet for 17 years. I have been teaching for 8. I love working with new students, and became more focused on private lessons during my Sophomore year in college. Speaking of which, I earned a Bachelors of Music in Trumpet Performance from the University of Maryland College Park. While there, I played with the Wind Orchestra, Symphonic Orchestra and Jazz Band. I am also a regular performer with the Prince Georges Philharmonic. tudents, and tailor the lesson plan for the student's growth and practice. Travis does a great job! I noticed an improvement after the first lesson my son had with him. Travis is a wonderful, encouraging & enthusiastic teacher. My son (10) loves going there. He learns a lot and progresses quite quickly - and at the same time it’s always fun. Travis was great. He paced the lesson right for my daughter and started instilling some fundamentals that she was missing. He is kind and friendly. And a great musician! "Dustin was understanding of my current level and helped me understand my goals. I'm looking forward to our next lessons!" "I feel like he really understands my struggles and how to help me. Plus, he offered to transpose some pieces that I want to play on trumpet. "Philippe is a top notch performer and teacher." 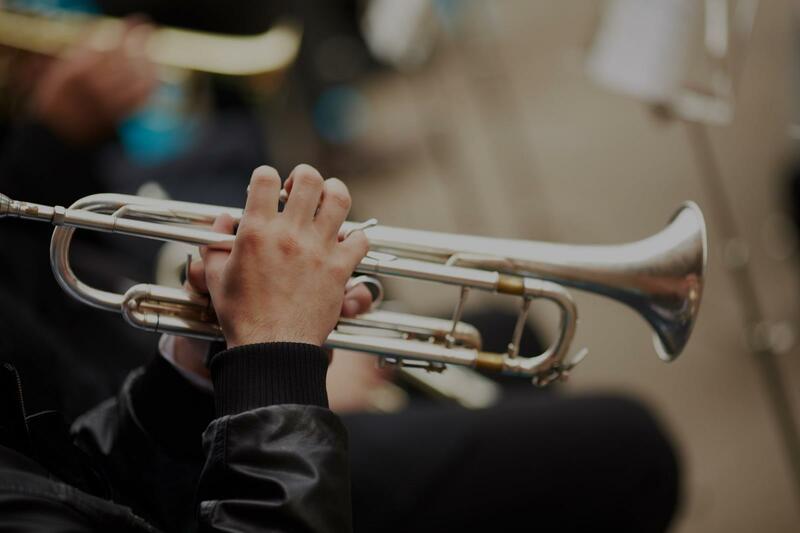 Washington, DC teacher: Philippe B.
r. P started by figuring out what my goals were, as well as what my strengths and weaknesses on the trumpet were. He then went about crafting a customized course of study with weekly tweaks to help me get to where I wanted to go. He does not just assign work and send you out the door but helps figure out the best way for you to get the most out of your practice." with the basics, my posture, breathing and how to hold the trumpet and it's parts. I look forward to each lesson." h experienced his teaching abilities and seen the success he has had with many different students. If you are looking for a knowledgeable, highly accomplished, and extremely experienced trumpet teacher then look no further. Philippe represents the future of brass pedagogy, where a systematic approach to fundamentals triumphs over the traditional sink-or-swim model." "Travis does a great job! I noticed an improvement after the first lesson my son had with him." asics and techniques to help succeed long term. I was able to play a few notes just after my lesson. I will definitely be taking more lessons with him because I am pleased. Thank you!"